why is browser sniffing hard? 1 How to maintain quality? 2 How to make it faster! Why not a real database? Why not create an index? Can we do this in PHP? 3 How to make it even faster-der! 1 Test everthing! 2 Profile everyting! 3 Cache everything! 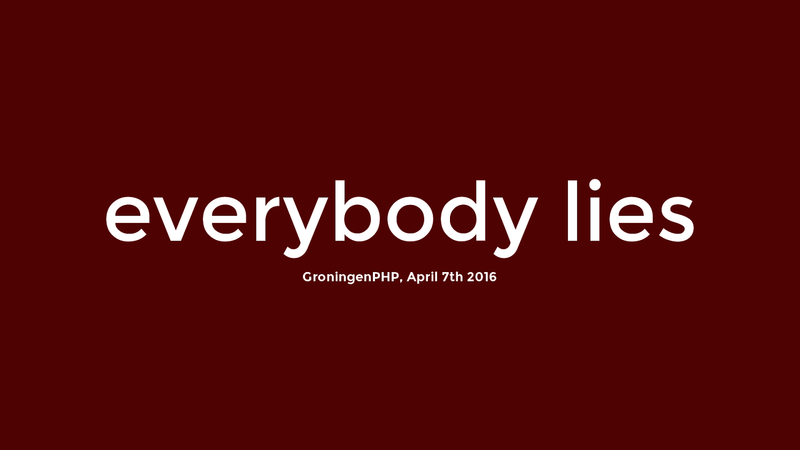 View Everybody Lies – The story behind WhichBrowser on Notist.